One of New Zealand’s largest fire and general insurers, Tower Insurance originated as a life insurer in 1869 when it was created by the Government Life Insurance Office, better known as Government Life. The New Zealand Government initially provided the capital for its creation, and it became TOWER Corporation in 1987. The business was mutualised three years later, though the move caused some difficulty in raising capital and Tower demutualised again in 1999, and was listed on the Australian and New Zealand stock exchanges. In 1989, Tower purchased National Insurance Company of New Zealand, which had previously bought the failed Standard Insurance Company in 1961. The acquisition of these businesses kick-started Tower’s fire and general insurance offering, making it a fully diversified business, and the insurer’s Australian and New Zealand businesses were separated in November 2006 with shareholder and High Court approval. Tower sold its medical insurance and investment divisions in 2012 and its life insurance business in 2013. Today Tower is exclusively a fire and general insurance company, offering policies for house, car, contents, rural and travel. Tower’s broad product range encompasses all aspects of fire and general insurance, with a number of specialised policies across the different categories. Its key product offerings are car insurance; house and contents cover, which includes specialised policies for landlords and tenants; business insurance, including cover for assets, liability and business interruption; and travel. The insurer also offers specialised motorbike, boat, lifestyle block & farm and caravan policies, which cover clients for anything from natural disaster damage to fire replacement and loss of income. Tower’s CEO, as of December 2018, is Richard Harding, who was appointed to the role in August 2015. He started out at IAG and has over 26 years’ experience in Australia’s financial services sector. Harding was previously CEO of Territory Insurance Office, a general insurer in the Northern Territory of Australia and the last government-owned insurance and banking business in the country. Its chief risk officer, as of December 2018, is David Callanan, who joined from RACQ Insurance in Queensland, Australia, where he also held the same role. Callanan has assumed leadership of Tower’s risk, governance, compliance, legal and internal audit functions, and also supports the business before management and the Board. Its chief customer officer, also as of December 2018, is Michelle James, who joined in March 2016 from Spark Digital, where she was responsible for the organisation’s turnaround programme. She also held product leadership roles at Telstra Corporation. General manager, product and marketing, as of December 2018, Tony Antonucci joined from Brisbane-based insurer Auto & General in 2016, and has overseen a number of major product development and rationalisation initiatives, along with the creation of the insurer’s digital platform. He has also help senior leadership roles in the US Army, and spent six years in South Korea. Tower’s 2018 annual results, released at the end of November of the same year, detailed a full year loss of $6.7 million, which it attributed to severe weather and claims cost increases. Nonetheless, the insurer’s gross written premium in core book increased by 11.9% from the previous year, and the loss was a $1.3 million improvement on the loss from 2017. “Tower has announced continued strong growth and improvement of sales through digital channels, a declining expense ratio, and positive progress through a major technology upgrade, demonstrating that the transformation of the company is well underway,” CEO Richard Harding said in preface to the results. Harding also noted that 45% of Tower’s new business sales occurred online in September 2018, significantly above the less than 10% figure recorded during FY16. 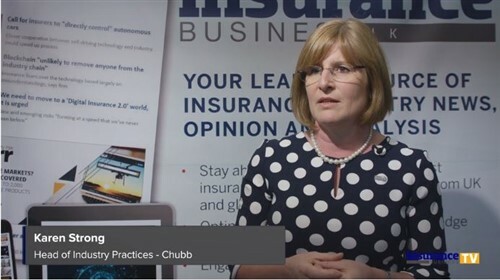 The insurer highlighted technology upgrades as a key part of its ongoing strategy, and is in the process of a full core platform replacement. “IT simplification is a critical enabler for Tower’s transformation and will accelerate growth and reduce expenses, delivering a step change in results from the end of FY19,” Harding said. Tower, as of December 2018, currently sponsors the New Zealand Paralympic Team and is a commercial partner of Paralympics New Zealand (PNZ), a charity supporting Para athletes at national and international competitions. It leads the New Zealand teams to the Paralympic Games every two years, and will be participating in the Tokyo Paralympic Games in 2020. Brokers need to start "presenting what they're really good at"